Following our work on The Arts Space, we were asked by Hereford College of Arts to revamp their Foundation Studies provision; providing a new social space, additional robust workshop provision for noisy and messy activities (e.g. sculpture making) and improved studio spaces with better lighting and acoustics. 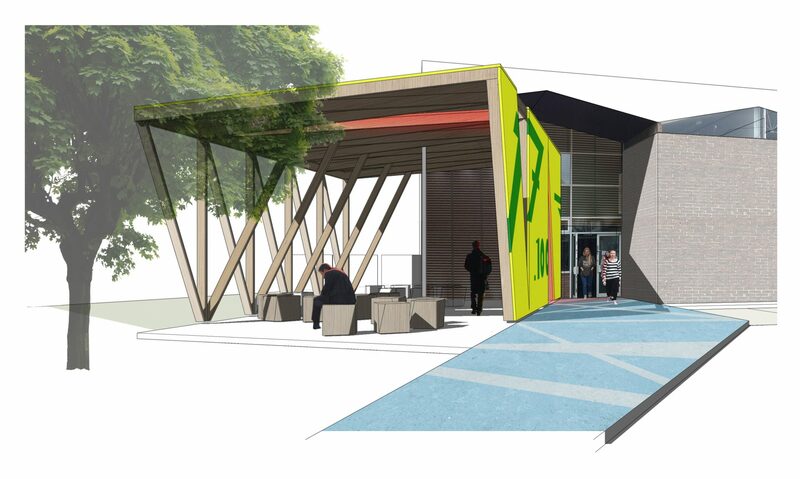 We propose a new entrance structure, which relates to the main campus whilst providing a sheltered social space looking on to the adjacent playing elds. 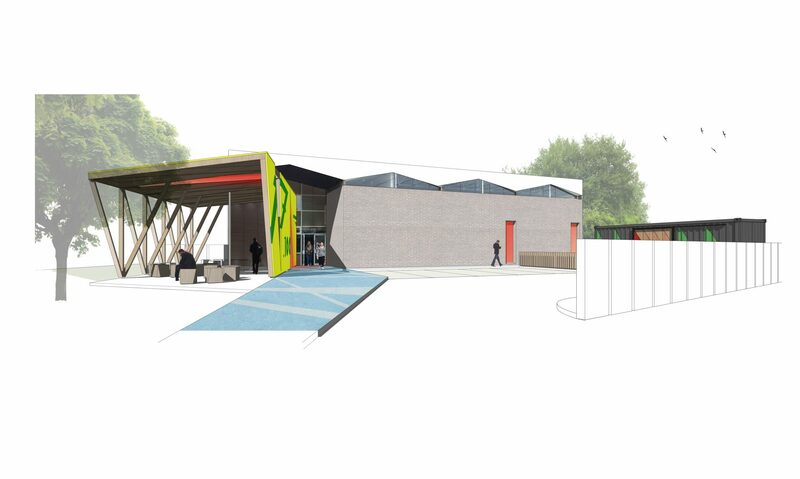 In addition, new workshops are proposed within inexpensive container shells, whilst dedicated teaching areas are to be provided in a new state-of-the-art studio block.